Traditionally, dentists use x-rays to find out what's going on below the surface, developing them in a darkroom full of chemicals, and examining the resulting films on a special light board. Digital radiography entirely outmodes that cumbersome process. Now, a tiny sensor placed in the mouth acts like a miniature VCR camera with an x-ray sensitive chip, exposing you to 50%-90% less radiation exposure than with traditional x-ray techniques. The resulting highly detailed image of your mouth is almost instantaneously translated onto our computer screen, carrying with it all the conveniences of other digitized images. We can rotate it, magnify it, adjust it for contrast, and even color-code it for educational purposes. Because it helps our patients clearly understand the root issues behind their dental health, we're able to work together to determine the very best treatment options for each case. The 3D iTero Scanner is one of a new breed of technology that is revolutionising dentistry. 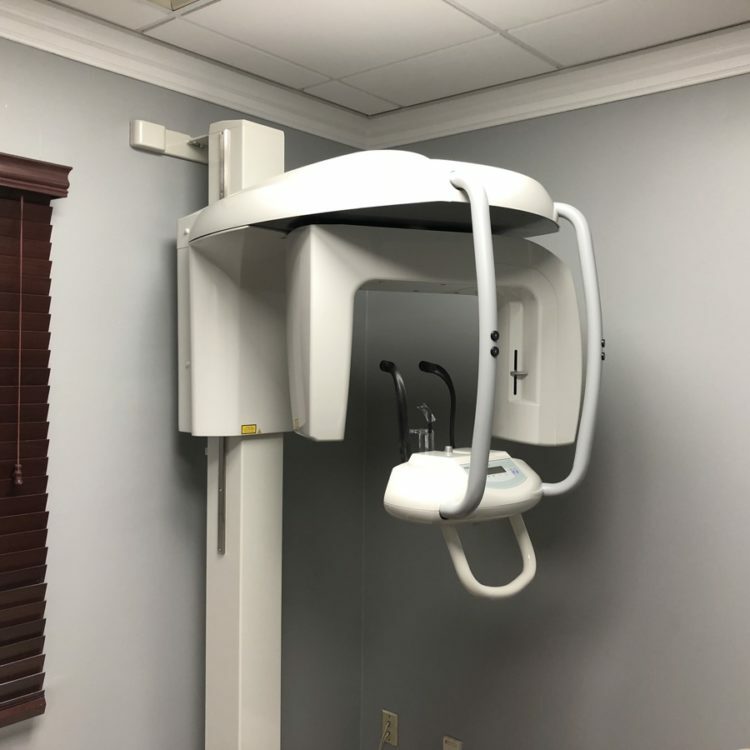 These types of advanced intra-oral scanners work by capturing thousands of pictures of the inside of your mouth, and then assembling them into an incredibly accurate 3D model of your mouth, teeth and gums. This allows Dr. Poelman to fully assess and inspect every aspect of your condition, and accurately plan out the stages of your treatment. Although early intraoral cameras and scanners left a lot to be desired, the latest generation of scanners are far superior. Our staff will use a specially-adapted, hygienic scanner called a ‘wand’ to take thousands of pictures. The scanner uses medical-grade low-radiation lasers to take up to 20 pictures a second of your teeth. Our staff will gradually move and rotate it to be sure to get a complete scan of your whole mouth. As they do this, gradually a 3D model of the inside of your mouth will emerge on the iTero screen. Usually this whole process takes less than 10 minutes. With this technology, we can then use this 3D model to assess your needs, determine what treatment options are available to you, and which will likely give you the most desirable outcome. Our office uses state of the art sterilization to ensure patient safety. Sterilization and disinfection are the basic steps in instrument processing and surface asepsis. Sterilization refers to the use of a physical or chemical procedure to destroy all forms of microorganisms, including the highly resistant spores. Chemical monitoring involves using chemical indicators (CIs) that change color or form when exposed to specific high temperatures or to the sterilizing conditions within a sterilizer. This is referred to as chemical monitoring (or process monitoring). We use sterilization pouches that have special marking that change color when subjected to sterilizing temperatures. The Poelman Membership Plan is an annual reduced-fee savings plan for families and individuals without dental insurance coverage that allows all Members to receive quality dental services at greatly reduced prices. Unlike conventional insurance plans, with PMP there are no deductibles, no yearly maximums, and no waiting periods to begin treatment. PMP benefits coverage begins immediately on plan registration.